The quiet bedroom community of Hamilton Island has just recovered from a school shooting which rocked the community. But, as it turns out, Roger Heller didn’t act alone. A conspiracy of scientific experiments, missing people, and ancient secrets that threaten the island and its people. And behind it all, the enigmatic transhumanist icon, Blake Conway. Can Jon Conway piece the mystery together before it takes another of his loved ones? Can the Heller family move on from the actions of Roger Heller? Will Cassidy’s drug addiction destroy the new family she is building with Jon and Emma? Can Milo trust the mysterious Don Bellows? And what will happen when Brock Houser begins to launch his own investigation into the strange goings-on? 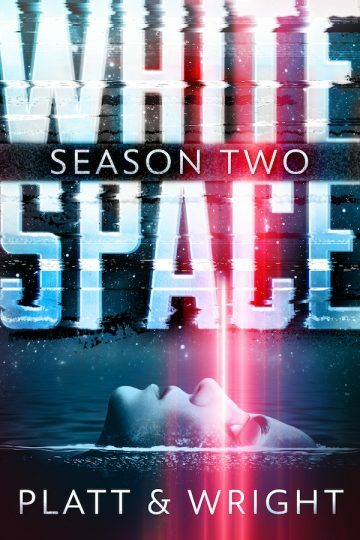 WhiteSpace is a character-driven, mysterious, sci-fi thriller that would be right at home on weekly television. This edition includes all six episodes (7-12) from WhiteSpace Season Two.